All proceeds go to the American Red Cross International Response Fund for Haiti relief. Several photographers, including the iconic photojournalist Mary Ellen Mark, have donated photographs to help create this special fund-raising collection of captivating images to benefit the people of Haiti. 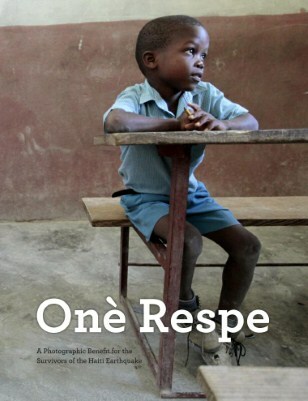 The title Haiti: Onè Respe comes from a traditional Haitian greeting meaning "honor and respect." International Response Fund for Haiti relief. Photographs by: Chet Gordon, Kari Hartmann, Mary Ellen Mark, Peter Pereira, Lindsay Stark.